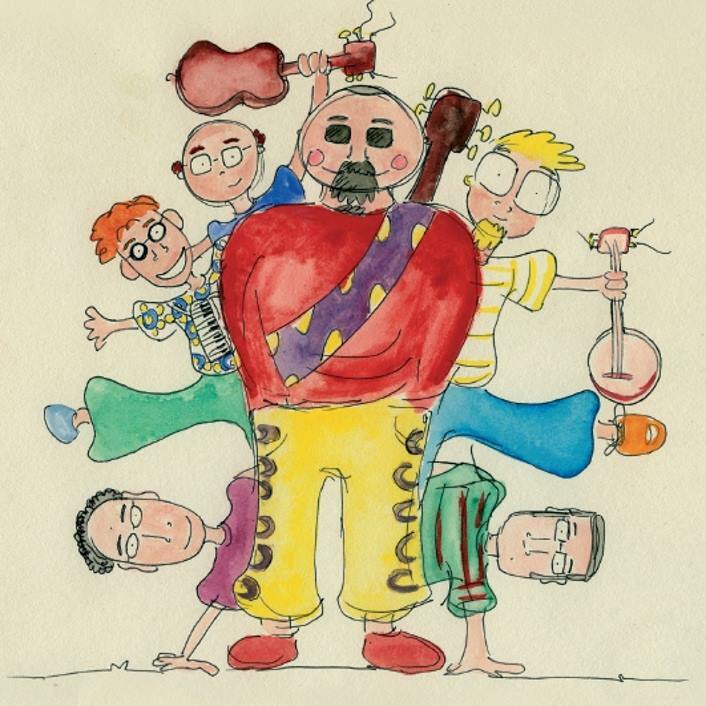 The Speks are a six-piece traditional Irish music band for children. They live on a mysterious Island off the coast of Co. Clare called Glasses Island where everybody wears glasses! The band members are Quince, Naymon, Tommo, Pete, Ed and Rafferty and they love singing and playing music for children. Global Research – for instance in Australia, by literacy expert, Mem Fox – has found that "rhymers will be readers." Findings indicate that if children know eight nursery rhymes by the age of four, they tend to be the best readers by the time they are eight. With this research in mind, Noiz Entertainment created The Speks and produced an album of traditional nursery rhymes and sing-along songs set to acoustic Irish music for children. The Speks' debut album contains all-time favourite nursery rhymes like Humpty Dumpty, Twinkle Twinkle Little Star, and Incy Wincy Spider. The album has won a prestigious Parents' Choice music award in the US where their music has been described as "Riverdance for toddlers" and "grown up music for kids." The INTO's publication "In Touch" described the album's songs as "Educationally they encompass the all important areas of rhyme, rhythm and repetition - so frequently the missing links for children learning to read." Ruth Gibbs, a teacher in a special-needs school in New South Wales, Australia recently sent the following email: "I would just like to tell you how amazing your music has been for my students. They all have severe autism. I discovered your music on the internet and downloaded some of your songs. I then added them to power points that I made and we sing and watch the songs each afternoon. One child who has never spoken a word can now sing one of your songs. They find it really soothing. Thank you!" RTE Junior, Ireland's national digital radio station for kids plays the Speks' music daily. The Speks' songs also feature regularly on radio stations for children in the USA. Live performances by The Speks are not to be missed. They perform their nursery rhymes and sing-along songs set to acoustic Irish music while encouraging kids to sing and dance along. Their shows are great, fun events for young children and their families.